Our company is one of Finland’s leading turn-key suppliers of hospital furnishings. 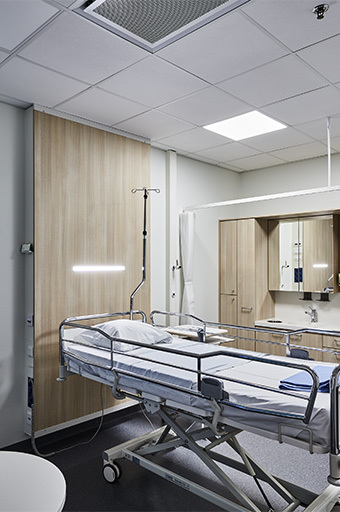 Koralli-Tuote Oy produces high-quality hospital furnishings and institutional furnishings for other care-sector environments, both as fitted furnishings and complete solutions tailored to meet the customer’s needs. Our area of expertise is made-to-measure fitted furnishing solutions for the demanding operating environments of the healthcare sector. We manufacture and install hospital furnishings for hospitals and other institutional furnishings, such as furnishings for homes for the elderly, care facility furnishings and treatment furnishings for a range of care and treatment institutions and dental facilities. 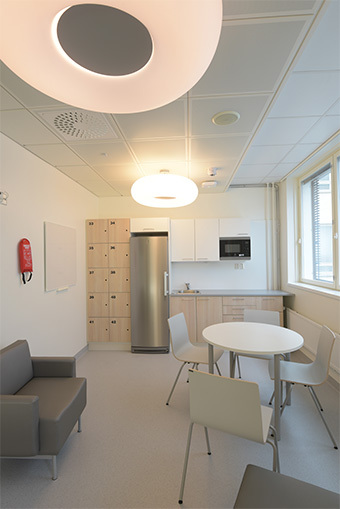 We have furnished a number of hospitals in Finland. 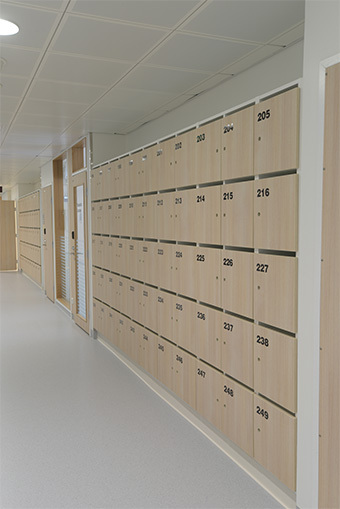 We ensure that each individual piece of furniture for care and treatment institutions, as well as the space as a whole, meet the demanding requirements placed on them, whilst still boasting a stylish appearance. Regardless of whether your enquiry concerns a reception room, patient room, operating room, hospital table, bedside patient cabinet, medicine cabinet, office furnishings or surgical sinks, we have the solution for you. enhance the working environment with a new, positive atmosphere and stylish furnishings. Our project-based method takes into account the specific requirements of each site and every customer. Smooth cooperation between the design and realisation stages is vital in ensuring a successful end result, with a functional space and hospital furnishings that make the everyday lives of care personnel easier. We provide expertise to assist architects in the technical realisation of fitted furnishings in accordance with their plans. We work with construction companies on the contract calculations and subcontracting associated with fitted furnishings. Hospital districts and independent care institutions can also benefit directly from our expertise, as many care sector operators feel that involvement right from the design stage is key to ensuring that the space works as it should, adhering to demanding conditions. Our many years of experience ensure that customers can have confidence in and rely on us, even for large-scale projects. Hospital furnishings have accounted for the bulk of our turnover for a number of years. Furnishing hospital, care and dental spaces is what we do best. Get in touch and find out how we can help you!